The 24 hour Le Mans is one of the most prestigious racing events in the world, and to this day it’s been a shining example of just how much fun the racing world can be. Cars of every shape and size imaginable can be found on the tracks of the historic racing site, and each one has a different story to tell. When we picture a race like The Le Mans, we often tend to think of colourful hyper-cars that can reach their top speed in a matter of seconds, or super-vehicles that are more powerful than small jets. Others are tough, reliable machines that have to brave the long 24 hours of the event, and there have been many failures over the years. Some of these vehicles are so famous that they’ve made their way into other industries, and have even appeared in online pokies. What makes Le Mans different from other races across the world is the fact that just about anyone can enter, as long as they have a working, street-legal vehicle that can see the driver all the way to the end of the 24 hours. Because of this, there have been some truly bizarre cars on the tracks over the years. Some were so unique, in fact, that their legacy lives on to this day. Built in 1955 by Italian due Enrico Nardi and Carlo Mollino, the Nardi Bisiluro was a nimble, 62-horse power bullet car that was designed to be lightweight and quick. The idea was to make a car that was so lightweight that it would be able to keep pace with the Ferraris and Jaguars of the time. Unfortunately, the car suffered a number of setbacks, to the point where it sustained so much damaged that the entire project was scrapped. Jim Hall’s Chapparels were the innovators of the time, and Hall himself was considered a pioneer of modern aerodynamics. His most famous car was 2F, which featured a massive, downforce rear wing, as well as an automatic transmission. The car hit the track in 1967, but was forced into early retirement after completing just 225 laps around the course. Cadillac hasn’t been a strange to innovation themselves, and in 1950 this innovation culminated in the Series 61 Aerodynamic Roadster. A futuristic-looking vehicle, the 61 was a strange combination of both the understanding of aerodynamics of the time, and a crude knowledge of drag. Despite this, the car went on to finish tenth at the 1950 Le Mans. 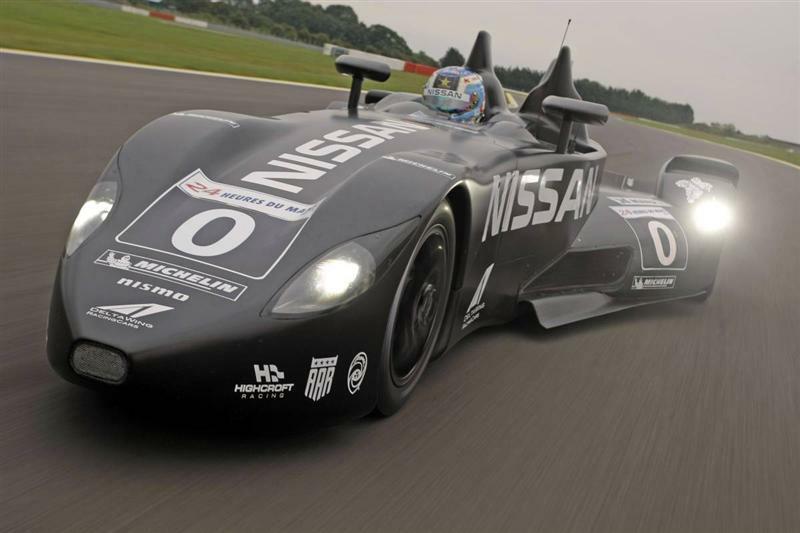 Something from a more modern time, the Deltawing was a fusion of the Batmobile and an F1 vehicle. It featured tiny front wheels, large back wheels, and was lauded for its bold design in a time when most cars had come to look the same. The Deltawing saw some success at Le Mans, but didn’t live up to the expectations of the engineers and onlookers alike.